A marketing asset management platform that makes controlling your brand simple. Control Your Brand. Control Your Spend. Control Your Business. XPRESSLink's online portal simplifies ordering, tracking, and distribution of controlled brand assets. Share content with employees, sales teams, affiliates, franchisees, and anyone else you choose. Content includes marketing collateral, sales tools, branded merchandise, identity apparel and uniforms, and more. Simplify how users find, customize, and order marketing assets with a single source solution. Manage assets from inception to delivery. Dictate what creative elements are customizable and maintain brand integrity across your organization. Set spending limits to ensure your budget stays aligned with other corporate goals. Sites range in complexity from simple Web-to-Print sites to multi-channel platforms. Keep geographically diverse teams brand-right while allowing users to customize marketing materials with unique names, addresses, and even logos. Multi-layered approval workflows customizable to fit your business. Manage, organize, locate, and distribute digital files from a single cloud-based repository. Game-changing insight that will reduce supply chain waste, effectively focus your marketing efforts, and expands your reach and sales. Arduous processes slow teams down, draining time and energy away from strategic priorities. Find efficiencies with our XPRESSLink consolidated print and marketing asset management platform. Streamline processes and cut costs with a comprehensive solution that connects everyone and everything – and makes doing business easier. 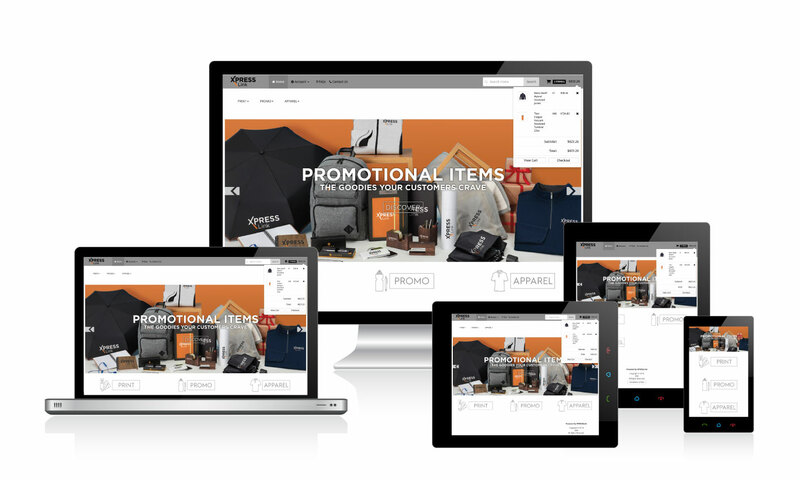 XPRESSLink, our e-commerce platform, manages all your printed collateral and branded merchandise in one place. Take control of your brand and messaging with ease, flexibility, and efficiency. Your corporate assets, such as logos and images, are all stored in a digital warehouse providing you the flexibility to create and produce what you need on-demand. Ordering, invoicing and cost allocation will be designed to fit your needs. Our cutting-edge capabilities and streamlined processes provide a framework through which you can manage your day-to-day marketing communications. QRG allows you to control your brand and consolidate your spend while making the purchasing process more efficient. Interested in an XPRESSLink Solutions? Finally, the print and promo service your brand deserves! Complete the form to learn how QRG can help.